board's leadership and guidance?Connecticut Association of Boards of Education, Inc. Boards of education and school administrators must deal with a staggering amount of state and federal regulations in managing an educational system. The CABE Policy Service is an important service provided to help boards of education develop and maintain a well organized, comprehensive and usable manual of school board policies, administrative regulations and bylaws. CABE provides basic policy service (including sample policies and information) to all member boards as a membership service. However, boards with more specific needs may choose among five additional services. Each service is designed to ensure that the board has a well organized, up-to-date policy manual and a procedure for maintaining the updated manual. MAIL YOUR POLICY MANUALS TODAY. 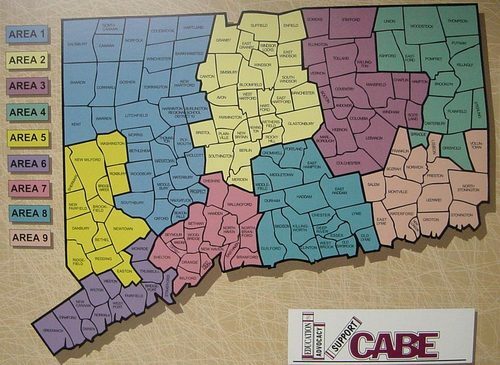 CABE's Policy Service needs to expand its policy library in an effort to provide a greater variety of policies from large and small school districts. To do this, Policy Service is requesting a copy of your school district's policy manual. What is the Policy Library and how does it operate? As a member of CABE you are entitled to request from Policy Service, free of charge, sample policies on a range of issues. CABE staff researches the issue and sends any related policies or articles which are in the Policy Library. Frequently sample policies from school boards in other states are also included. Policy Service would like to increase the size of its policy library to provide a broader range of material. Many requests have come in for sample policies from a school district which is similar in size. Although the Policy Library has 55 school district manuals, Policy Service needs to increase the number of district manuals in its library in order to meet this frequent type of request. What can your school district do to help?